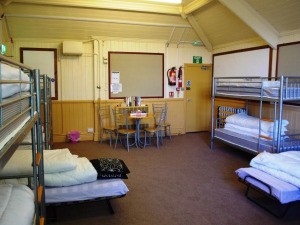 Mixed dormitory with 16 bedspaces (bunks and guestbeds). Linen hire £4 per person. Breakfast bag £5 each.